Aegis Fire is one of the leading companies in industry of Fire Fighting Dealers in Hyderabad. 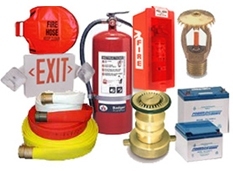 At Aegis Fire the Fire Fighting Dealers in Hyderabad we deal in all types of Fire Fighting Equipment and Tools. We have over a decade of experience in the Fire Fighting Industry. We are the Manufacturers and Suppliers of Fire Extinguishers, Fire Ararms, Hydrants & Fire Safety Equipment. Aegis Fire the Fire Fighting Dealers in Hyderabad deals in entire range of Fire Safety systems by providing the most effective and comprehensive fire solutions and equipments for our clients. We are the experts in fire alarms, fire sprinkler systems, fire alarm system designs & portable fire extinguishers.